Insta obsession: well not yet. 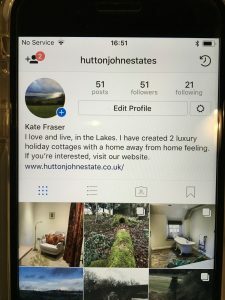 I have been writing this blog for seven months and I thought perhaps it was time to spread my wings and really move in to the 21st century. Now I am not technologically minded. I have only had a smart phone for the last year and you wouldn’t call me a smart operator. I didn’t text because what’s wrong with a phone call and I still don’t really get emojis, although they are ubiquitous. It was with some trepidation that I downloaded the app. In fact I made a mistake right from the start trying to set up the account. I persevered. Then what next? Take a photo and upload that on to your account or is that download as I’m not clear how up and down works with apps. I can hear people cringing at my lack of knowledge. Then you have to have some hashtags. I had to look up what exactly that was. So I took a picture and added a hashtag and whoosh off it went somewhere in to the ether so that other people could see it, like it, ignore it or comment on it. A friend who has thousands of followers and knows all about how you foster success on social media gave me some tips. “You need to use more hashtags” and “you have to be creative with your hashtags” and “try to make your pictures more appealing” etc etc. Apparently it takes application to get more than a handful of followers. I am really quite enjoying it, but my husband thinks it is becoming the third party in our marriage. Insta-divorce, well I hope not. « Obsessed with the Weather- Not Me!